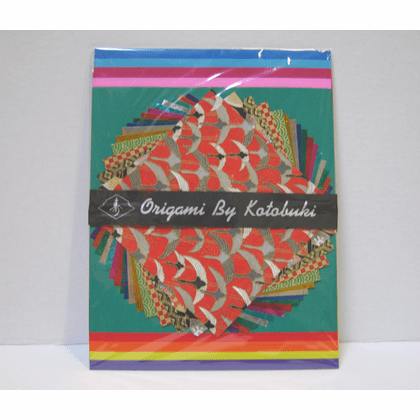 Package of two sizes of origami paper. 16 sheets of 6 inches square in an assorted variety of yuzen and foil origami paper ( 5 sheets of yuzen rice paper, 6 sheets of foil and 5 sheets of embossed foil). 18 sheets of 8-1/4 inches square in an assorted variety of colors.